For today’s post I did a Garden Layout using some of my favourite photos of my daughter Cheyenne when she was a baby. I spread the layout over 2 pages so that it did not look all crammed into one page. She was a real ‘outside’ girl and just loved the garden and all the messy dirt that went with it. A short time in the garden would solve any tears or grumpy days she had. QUICKUTZ BUTTERFLY REV-0088. I used vellum as the solid back piece of the butterfly to give it a smooth transparent look. QUICKUTZ PINWHEEL QC-0010-S to make the leaves for the backs of the flowers on the trees and kept them in place with some silver brads. The flowers I used are the smallest size of the Kaisercraft flowers. For those of you who saw my post last Friday, this is part 2! and your thoughtful comments....I have loved sharing this with you. every dream that they have ever had about Disneyland!! really fast so pick yours up today! to see the delight and joy that this magical trip will bring to them! You can email the Scrapping Cottage with your choice of a 4x8 Quickutz Alphabet! Thanks to all those that participated, we hope you will join us for our next contest coming soon. 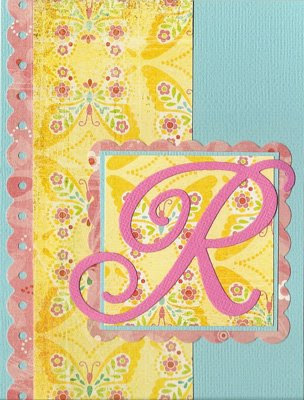 The Scalloped Nesting Squares from the May Quickutz release are must haves for your die collection. They are great for journaling spots or for layering with other shapes. The scalloped edge is such a simple way to add more interest to your paper crafting projects. I have been using my Silhouette A LOT lately. Isn't funny how you go for awhile not using one of your tools and then all of a sudden *BAM* you can't scrap without it! One of the greatest advantages of the Quickutz Silhouette is its ability to cut any True Type Font you have loaded onto your computer. There are virtually 1000's of fonts available for free all over the internet. All you have to do is Google "Free Fonts" and you'll find tons of sites to get fun new fonts for your Silhouette. However, if you don't know how to download these fonts into your Fonts Folder, you will not be able to access them from your Silhouette software. My tip for today is to show you how to create a shortcut on your Desktop for your Fonts Folder to make this downloading process much simpler! Now that you have located your fonts folder, you'll want to create a shortcut on your desktop. Simply RIGHT CLICK on the Fonts Folder Icon and select "Create Shortcut". Place the new shortcut onto your Desktop. Now you can easily drag and drop new fonts into your new Fonts folder shortcut. Just make sure when you are downloading fonts, that you open all files until you get the True Type version. This is the one you want to drag and drop into your Fonts Folder. Then your computer will do the rest!! Last Day... 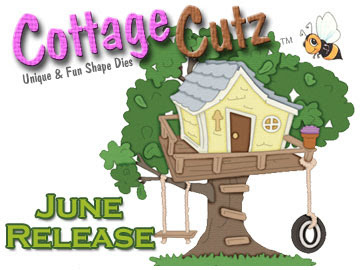 Introductory Pricing on New June Cottage Cutz shapes ends Midnight Tonight! The first shipment is almost sold out!!! 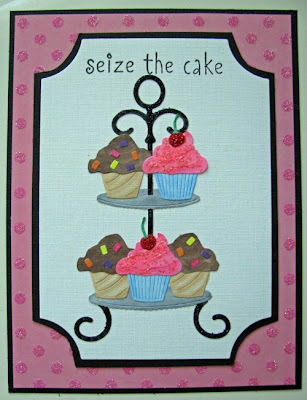 I just can't help it - something about me has to come up with a catchy saying for cards and this one was no exception. I was excited to get this Quickutz Spring Gift set "enjoy" because I loved this barbeque. This is perfect for a Father's Day card or a manly birthday card. I also used my Black Soot Distress ink to give it that charcoal flavor. Now I just need a diecut steak to throw on the barby and we'd be set. REMINDER*** Card Sketch Contest entries are due tomorrow by midnight! 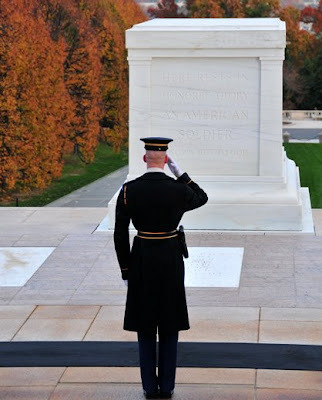 Let us never forget the sacrifices that have been made for our freedom. seemoreclearly - who was our second poster to the Contest Thread this month. Congratulations!! Please contact The Scrapping Cottage to select your die (alpha not included). Are you ready for another contest? Well, here it is! one of her card sketches for our contest. You must have an obvious likeness to this sketch and it must be newly created for this contest. The winner will receive one Quickutz 4x8 Alphabet of their choice. 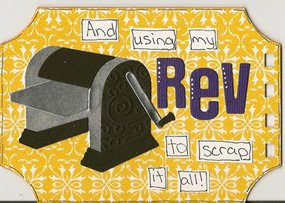 Your entries must be emailed to scrappingcottage@cox.net by midnight on Wednesday, May 27th with CARD SKETCH CONTEST MAY 2009 in the subject line. Below are two example of cards made from this sketch. 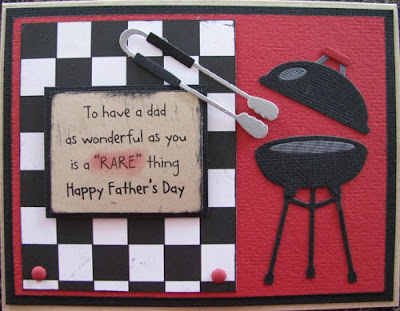 Beverly did this gorgeous Sympathy card and Kay did a manly Father's Day card (I promised I would do manly cards this month) using the Quickutz Chocolate 4x8 Alphabet and 2x2 bracket die from April's release. Have fun! We can't wait to see your creations! Be sure to check out The NEW COTTAGECUTZ SUMMER RELEASE Dies. Pre-Order yours today and take advantage of the special introductory price. These new Cottage dies are FANTASTIC and I'm sure they will sell quickly. Check them out at THE SCRAPPING COTTAGE and see what I'm talking about. Trust me - you'll be sorry if you miss out. note:- Introductoty Price will expire on Wed, May 27th. Pre-Order your CottageCutz June Release now and enjoy great savings. In my layout I used the adorable COTTAGECUTZ PENGUIN DIE SC-CC-009 because I always thought that the suits they were wearing reminded me of penguins. The COTTAGE CUTZ penguins are about 4”x2” when made up and are very easy to put together. They are a perfect size for scrapbooking layouts. 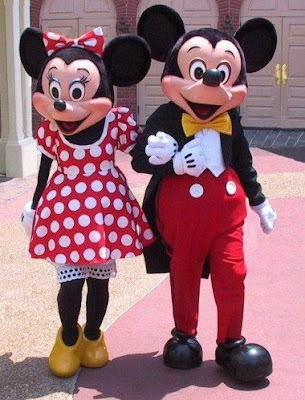 I think I join with most of the world when I say, I love Disneyland! the sights, the sounds, the magic, the MOUSE!!! come true! We hope their vacation is half as wonderful as they are! yet but I wanted to share a little bit of the magic with you! and leaves jumped right out of the package and into my hand! and ingenious this wonderful die is. It is one of my favorites! Can you find the new release die?? OK, now granted, it isn't really going to be that hard to find the new release die in this layout. But did you ever expect to see one of the new Special Occasion dies from the May Quickutz Release used in a Halloween layout? I received a bunch of these new dies in the mail today so of course I couldn't wait to start playing. I think the 2x2 Pears are just so cute that I was dying to use them first. These new shapes from the Quickutz May Release aren't just for weddings! I live in the land of "all things princess" so of course I immediately set out to make this Rev Wedding Dress Die look a little more princessy and a little less like a wedding dress. In order to add a bit of princess gown detail, I took the center portion of one the 2x2 brackets and placed it in the middle of the gown instead of the sash that comes with the die. I also used pieces of glitter cardstock to really give the gown some extra sparkle. Don' forget when you are placing your order for these new Quickutz dies to include the FREE Club Die for all Quickutz/Cottage Cutz orders over $50!! You still have plenty of time to enter our monthly drawing for your choice of one of the new Quickutz Dies from this release by leaving a comment HERE telling us what your favorites are from the May release (alphabet not included). Have you heard about the COPIC Ciao marker craze? Well, I'm hooked! 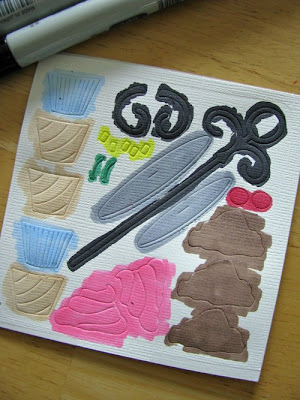 Today I want to show you an easy way to work with those dies that generally need multiple colors. The Ciao markers have 2 tips, I like to use the brush tip the most. These are alcohol based so they can be blended together and colored over each other for a darker color. 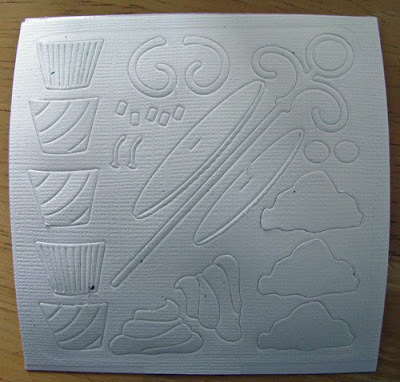 I took a white piece of Bazzill cardstock and applied a piece of the Quickutz Double-sided adhesive and ran this through my Revolution with the CottageCutz Cupcake tier. Then I started coloring in the pieces with my Ciao markers. This went really quick, the thing that takes the longest is deciding what colors you want. 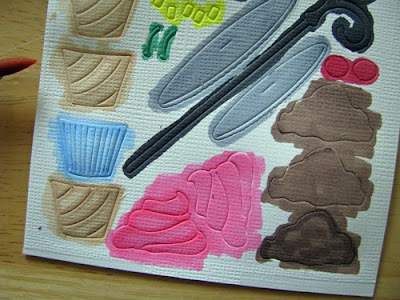 OK, here are my colored pieces, next I went over some of the pieces multiple times with my markers to show some detail. You can see below which ones I've gone over more than the initial coloring in to get the details I want. Then I just peeled them off like a sticker and placed them on my card. I used my Stickles to detail the pink frosting and the cherries. Watch for these wonderful COPIC Ciao Markers coming soon to the Scrapping Cottage Store. OK, I know it's Quickutz release day but I promised I would stick to the manly cards this month. I was so excited to get my hands on the Quickutz Spring Gift sets. 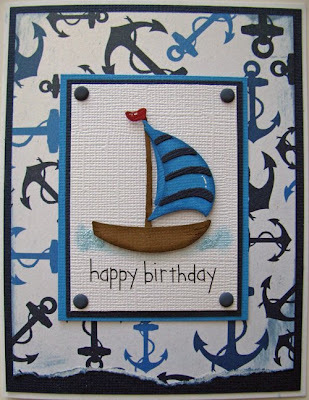 I used the RELAX gift set for this sailboat card. I cut out the pieces to the sailboat and then inked around the edges with some daubers. 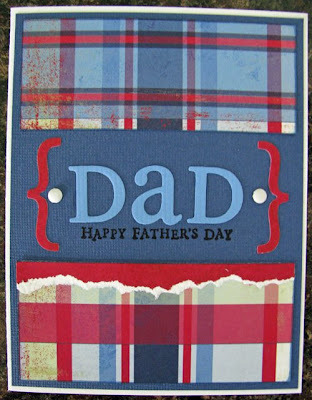 This card could easily say "Happy Father's Day" instead of Happy Birthday. If you haven't gotten any of the Spring gift sets, don't wait because there is a limited supply. This month's Quickutz release is all about celebrations! But just because you don't have a wedding to scrap, don't think there aren't some dies in this release for you. Quickutz has also released some must-have scalloped nesting shapes as well as some great new 12" borders. 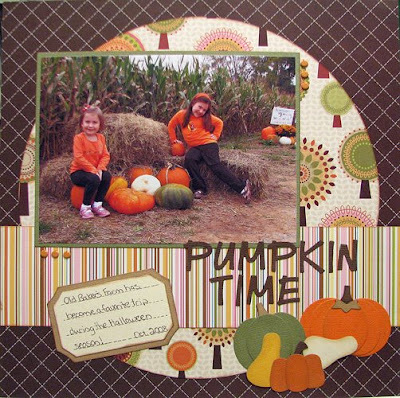 And of course, now is the time to take advantage of Scrapping Cottage's bundle deals on these new release dies. There are lots of possibilities for using these new dies so be sure to check the Blog regularly all week long as we post our projects using these new dies. When you are placing your order, make sure to include your *FREE* Club Die for purchases over $50. These dies go so fast so you want to be sure not to miss it! Plus, check out the Cottage Cutz section to see if there aren't one or two of those dies you have been waiting to order that you could stick in with your new May Quickutz Dies. And last but not least...did you think I forgot about our Monthly giveaway?! Just leave a comment on THIS POST telling us which Quickutz die from the new May release is your favorite and you will be entered into a drawing for a free die of your choice (alphabets not included). You have until midnight Saturday to post your comments! The winner will be announced on Sunday. 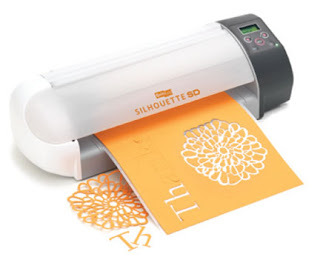 all the great new June Sizzix releases at Scrapping Cottage. sale last weekend and couldn't wait to get home to alter it. I thought it would look darling in our daughter's room! I used the flowers I created for "Watch for it Wednesday"
of this creation is the Scrapping Cottage Flower Cart. font by Quickutz to give this little flower a happy sentiment! I just recently purchased all of the Quickutz Adhesive Backed Materials and OMGosh are they cool!! I just couldn't wait to get them out and play. I decided to share a fun little mini album I created using the new Double Sided Adhesive White Chipboard and the Quickutz Nesting Labels (Rectangle). 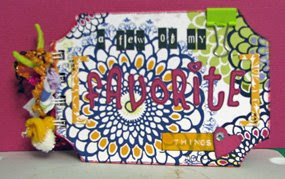 This new chipboard makes creating your own mini book so quick and easy! No more tracing and cutting your paper down to the right size and then having to sand the edges in order to have a nice clean finished product. I just used the Nesting Label Die to cut my page shapes and then used the same die to cut my patterned papers. 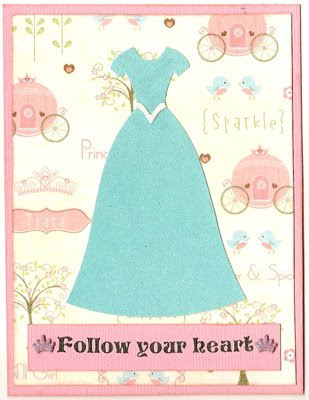 Then, you pull off the adhesive backing from the chipboard piece and lay your patterned paper right onto the chipboard page. Perfect fit every time! Then I used my Bind-it-All to bind my little album together using 3/8" O-wires.